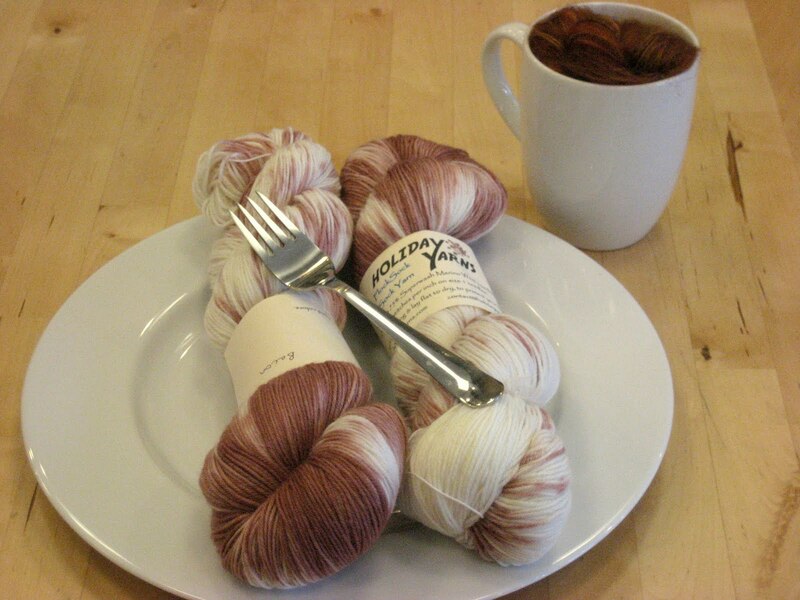 We just received in the Holiday Yarns FlockSock™ Sock Yarn in Bacon. This will actually knit up to look like uncooked bacon! Yum! This yarn is delicious. It is 75% Superwash Merino and 25% Nylon and the colors are beautifully hand-dyed. If you don’t want some bacon, perhaps you could try a slice of Key Lime or Chocolate Cherries. Or maybe you could get a little Bruised Ego! You have to see the colors to really appreciate how their loveliness. Next > >Inventory is done! !